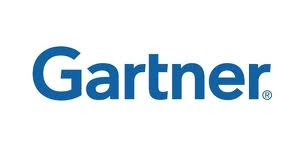 Its reports time with Gartner and there are no surprises. For the Quarter 1 of 2013, Samsung continues to be the leader in the smart phone business with Apple coming a distant second at 18.2 % share vis-a-vis 22.5 % share it had in the 1st quarter of 2013. LG, Huawei and ZTE are more or less at the same were they where in the same period last year. As far as the overall mobile phones sales are concerned, here too, Samsung is the undisputed king in the highly fractured market. Nokia comes in 2nd and Apple comes in third. Remember this chart is for all types of phones from basic to the high end. Samsung seems to have found the secret passage to the throne with top notch launches in the period and extremely mouth watering price tags for price conscious third world countries. Apple as the shareholders have already found out, has lost all the good work done by it in 2008 to 2012 period. What was then thought to be the probable heir to the throne the mobile market is not only losing market share but is also short of ideas to take on the leader, Samsung. Innovation wise it has struggled to keep up with the Google's Android with Google having 3 major updates in the last year versus the one of Apple. That update too caused a big heartburn among the users because of first the Maps issue and black out of Google Apps. After that it was the problem with 4S and later the lockscreen code snitch. The Apple's iOS 6.0 has been updated 4 times since its release and even now bugs are being reported. The Apple forums have already started a thread about need for iOS 7.0 which should be released by end June. Where Google has been smart on both fronts, its updates have been upto the mark and it is going ahead with the launches on the hardware side. Fully refurbished and cheaper Nexus 7 may be announced at Google I/O. Where is BlackBerry and Nokia in all of this? As a matter of fact no where, Nokia is among the premier mobile vendors list due to its brand identity in the third world countries. But ever so slowly the chasm between the leader and the other companies are widening day by day. Windows Phone has not managed to raise a storm like iOS or Ice Cream Sandwich did for Apple and Android nor has it been able to provide users with quality content aka Apps and Games on its store the way Apple and Google do. Nokia will sooner or later have to rethink and rejig its OS policy and take Android aboard to survive, which I think it will. BlackBerry is on a big big downward spiral and may be the first casualty of the mobile wars. Nothing it is doing seems to be in sync with the market realities. Now as per its CEO Heins, it will offer BBM to iOS and Android users. This I think is a acceptance on part of BlackBerry guys that they cannot survive on phones and BB10 alone. BBM was the sole unique DNA that was the bind between it and and its customers. Offering secure, interruption free messaging to the business class and the teenagers was the only link of the BB and market. Sadly I yearn for good old Nokia to be the leader it once was and Apple to rise upto the price challenges and introduce a budget iOS device to the 3rd world countries. They are and will be the only market drivers in the mobile sales space till the end of 2015. Read the comparative by me of HTC One v/s Sony Xperia Z v/s BlackBerry Z10 here. Please write in who you think will remain in the race of smart phones upto 2015.